Go long. Dress out small white sacks to resemble uniform football fields & up your snack game with this charming idea. Create football field inspired bags for a signature team win. 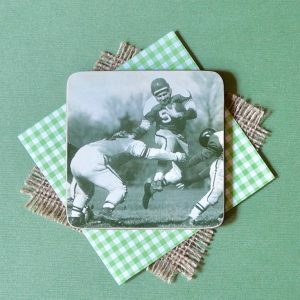 Score extra style points on your tailgating spread… Dabble a few throughout for an easy touchdown. Fill with crunchy sweet & salty favorites. Serve the remaining nibbles in a bowl on the sidelines. 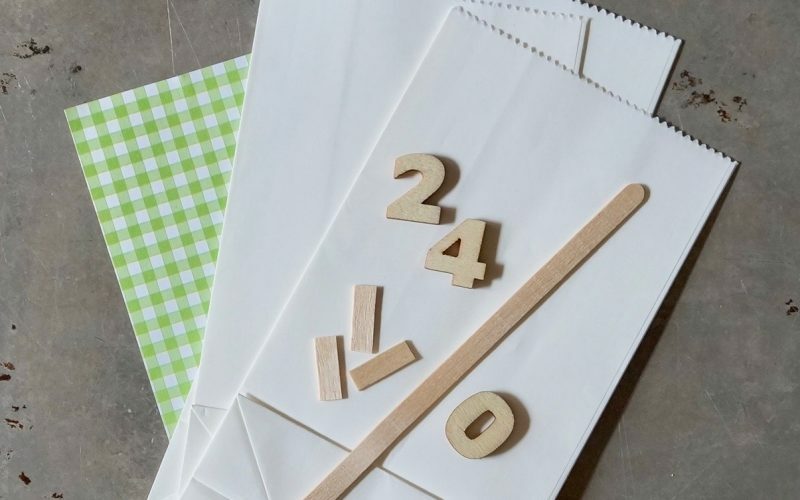 Add a little swag with tiny bunting for extra spirit. It’s always a good idea to offer a selection of munchies, especially if the main meal will serve as an attractive half time presentation. Create several vignettes throughout your home to keep hungry appetites in line. Gridiron Tailgating Bags keep irresistible snacks such as The Ultimate Game Day Snack Mix & Gridiron Whiskey Caramel Corn well contained. Cut a small portion from the top of the sack. Snip the ends from a wooden coffee stick. Position in the center of the bag. Secure with old school glue using a craft paint brush. 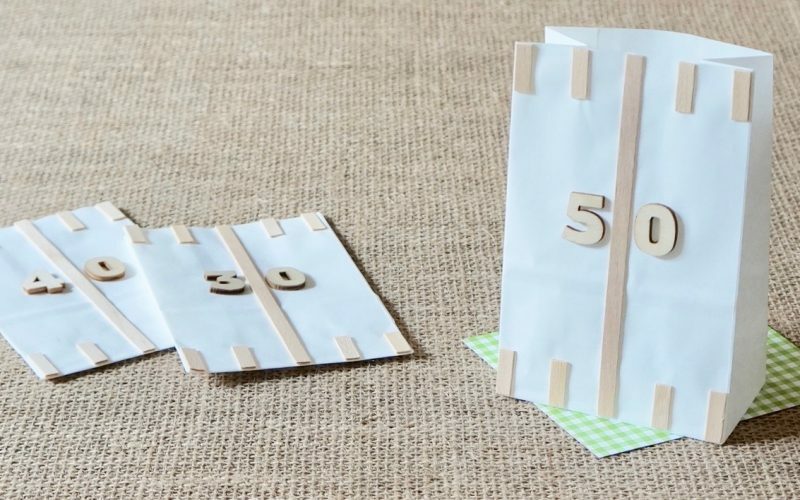 Secure small wooden craft numbers with old school glue. Snip tiny bits of wood from a second coffee stick to resemble hash marks. Secure with old school glue.